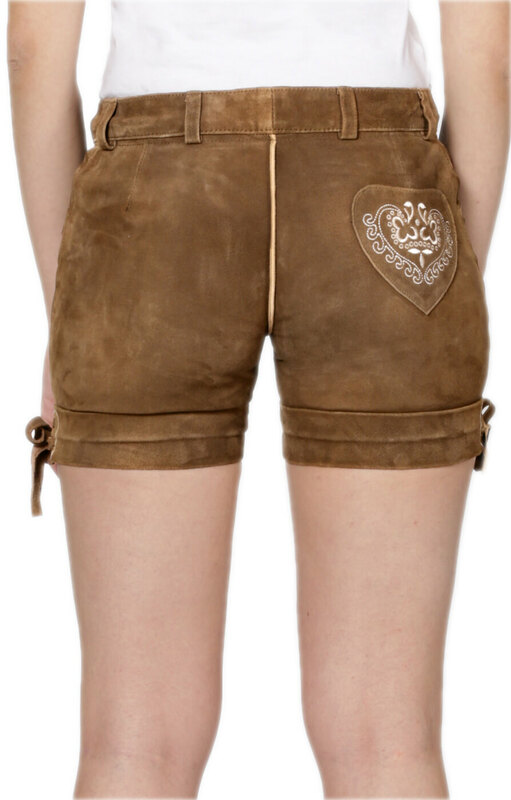 Elfi peat leather shorts - A practical and fun choice. 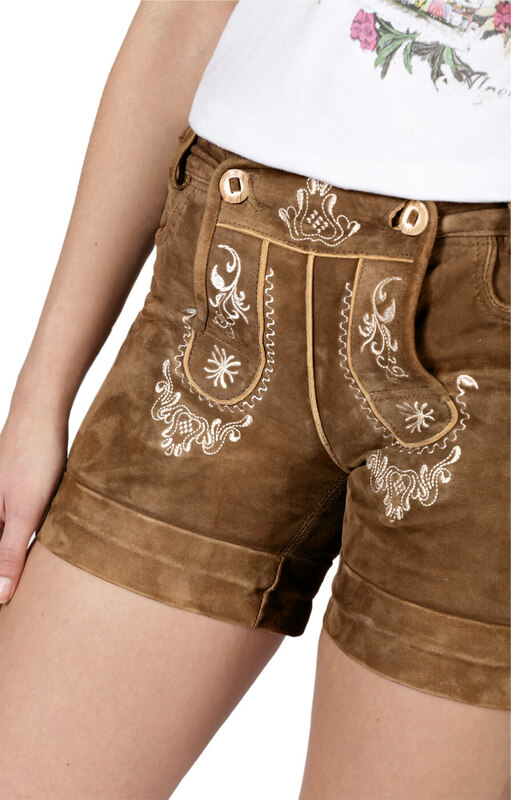 Providing an alternative to the dirndl for oktoberfest and costume wear, Elfi peat leather shorts provide a practical but feminine look. 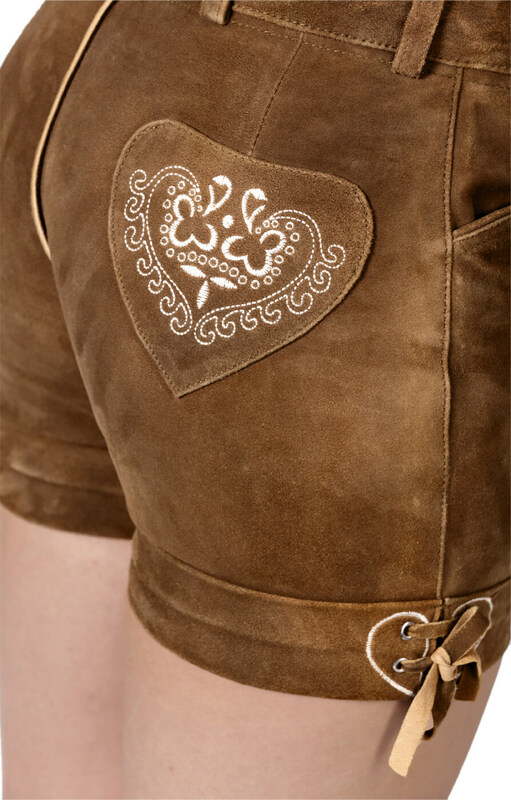 Made from high-quality goatskin leather, Elfi leather shorts are enhanced by decorations around the shorts, offering pretty details to complement a traditional look. In this way, Elfi leather shorts can be mixed with a range of outfits. They might be combined with dress shirts and blouses for a more formal look, or worn with more revealing tops to create a flirtatious effect. 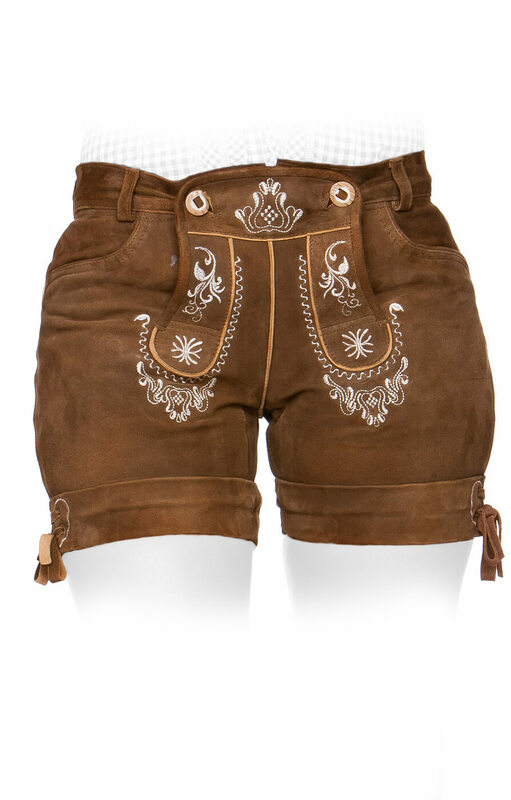 Female leather shorts ultimately represent a great choice for women seeking a new and adventurous look for various events. Sehr schöne Verarbeitung! Passt super bei schlanken Beinen. Sitzt gut am Hintern. Würde ich auf jeden Fall weiterempfehlen! Die Hose ist sehr angenehm zu tragen. Wie beschrieben fällt sie kleiner aus - also etwas größer bestellen.